All the way back in 2015 when this blog premiered I posed a question about the NWA World Championship and discussed it in a two part blog. 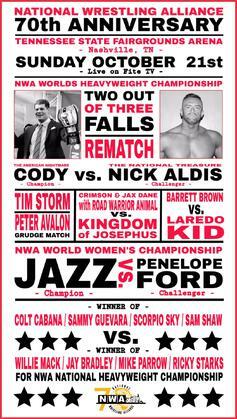 I've decided to do a follow up to that blog and see what has changed in the world of the NWA. Check out the first two parts if you'd like.. When I last left off in April 2015 Hiroyoshi Tenzan was the current champion. During his 6 month run he never left Japan but Tenzan defended the championship in against former Satoshi Kojima and Big Daddy Yum Yum. In August 2015 he traveled to Texas and defeated Nathan Briggs on the 22nd before losing the championship to Jax Dane on August 29th in San Antonio, Texas. Jax Dane debuted in 2009 in Texas joining NWA Houston in 2012. 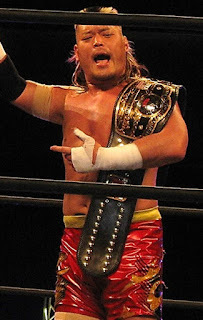 He won numerous NWA regional championships along with holding the NWA National, North American, and Tag Team Championships before winning the top prize from Tenzan. During his 14 month run as champion the title continued to primarily be defended in the south east states of Texas, Georgia, Louisiana, and Tennessee. I can't find a major event or significant match during Dane's reign. 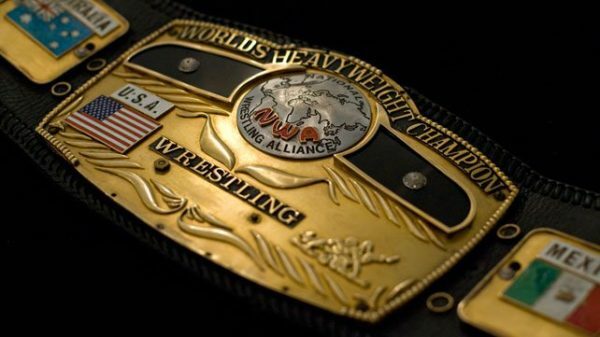 In my opinion the NWA was no longer a priority for Bruce Tharpe as he was no longer traveling with the champion as he was when Rob Conway held the gold. The title just continued to descend into obscurity. On October 21, 2016 in Sherman, Texas at the age of 51 Tim Storm defeated Dane to become the oldest man to hold the championship. 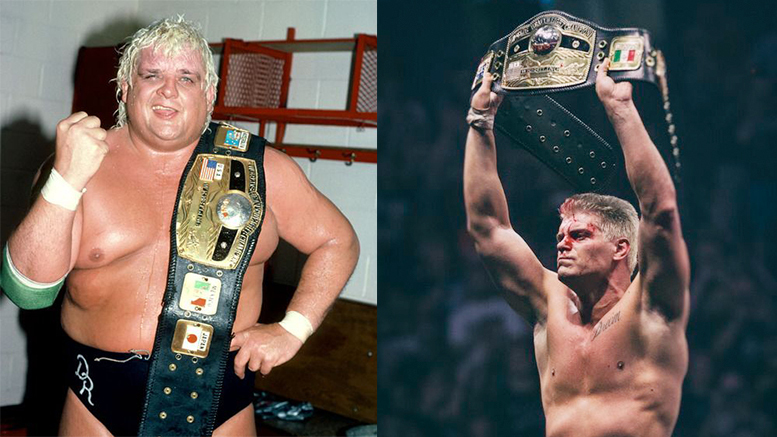 I remember when Storm won the title my first thought is who the hell is Tim Storm?!? My second thought was why the hell did Dane drop the title. He showed up in Ring of Honor a week later. Tim Storm had been wrestling for over 20 years when he won the championship barely wrestling outside of Texas where he is a school teacher. He never had a run in a national company, he had one match in the WWE on an episode of WW-ECW getting squashed by Big Daddy V on July 17, 2007. During his run as champion he had one match in Japan February 23, 2017 defeating Ryota Hama in six minutes for DSW in Tokyo. Otherwise his reign was more obscure than Dane's, until the company changed hands. On May 1, 2017 Smashing Pumpkins front man Billy Corgan purchased the NWA, rights, trademarks, championship belts from Bruce Tharpe. This was not Corgan's first foray into wrestling, a long time fan he did a couple things with ECW but it was most recently that he almost bought Impact Wrestling. On October 1, 2017 all the existing licenses that Tharpe has granted to other promoters expired and Corgan took over full ownership. 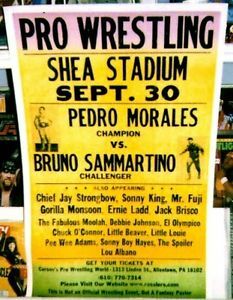 No other promotion is allowed to use the NWA name and for either their promotion or championships. 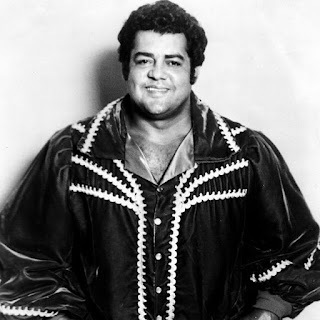 For the first time the NWA was a single entity and no longer a territorial promotion. Back in 2015 I wrote that the NWA should start a weekly YouTube show focusing on the championship, not a 1 hour television show but a 15 minute documentary style show. On October 5, 2017 on the official NWA YouTube channel a teaser was released about Tim Storm. 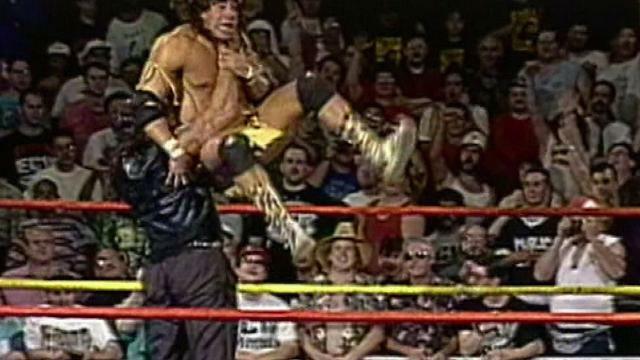 On October 20th the first episode of Ten Pounds of Gold debuted relaunching the NWA. Storm would finally be featured in his first high profile program as champion on Championship Wrestling from Hollywood. He defeated Nick Aldis then started a feud with Jocephus. 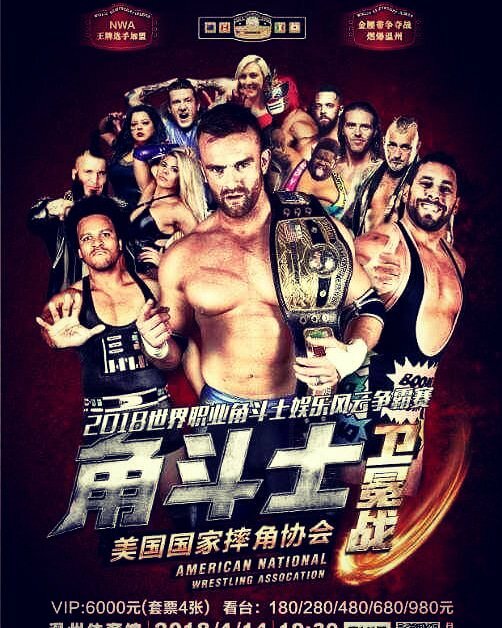 Storms run would come to and end at the CZW Cage of Death 19 PPV in Sewell, New Jersey when Nick Aldis won the title in just over 4 minutes. Nick Aldis debuted in 2005 in his home country on England. 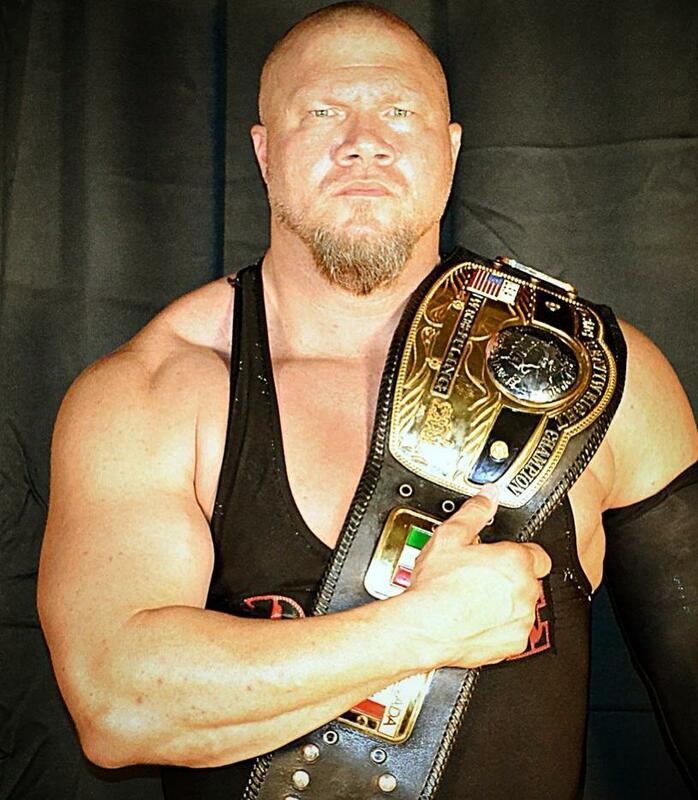 His first foray in the States from as Magnus for TNA in 2008 staying with the promotion until 2015 winning the Tag Team and World Heavyweight championships. Aldis' first run as champion he brought attention to the championship like no champion had done since Adam Pearce over a decade before him. 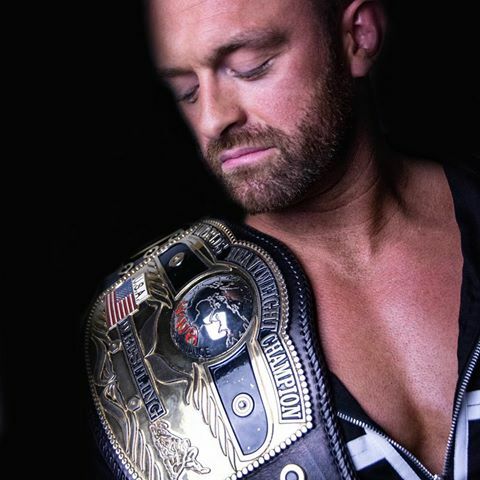 Aldis defended the championship in many promotions across the country and around the world in high profile matches against contenders like David Starr, Tommy Dreamer, former champion Colt Cabana, Matt Cross, Robbie Eagles, Mr. Anderson, and more. 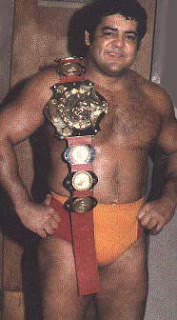 He defended the title in the United Kingdom, Australia, and China with his journey being chronicled on Ten Pounds of Gold. Aldis would bring the championship into the mega event All In promoted by Cody Rhodes & The Young Bucks defending the title against Cody Rhodes. 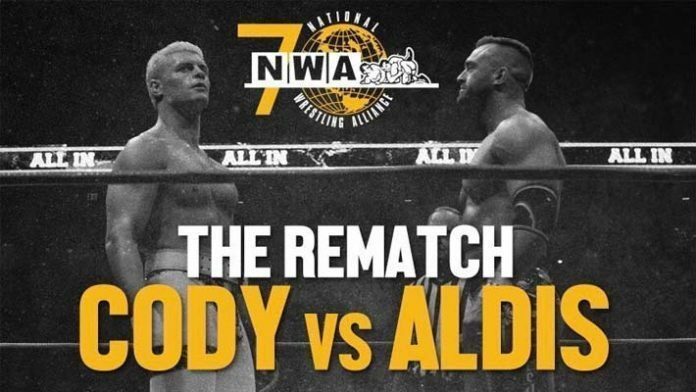 The build for this match would be featured on Ring of Honor television, Ten Pounds of Gold, Being the Elite, and Cody's YouTube channel Nightmare Family. This would be the most high profile match for the championship since TNA had control of it. On September 1, 2018 just outside Chicago in front of 11,263 fans Cody would defeated Nick Aldis to win the championship and with his father "American Dream" Dusty Rhodes become the first father and son to hold the historic title. Cody's short 50 day run as champion brought tremendous exposure to the title. 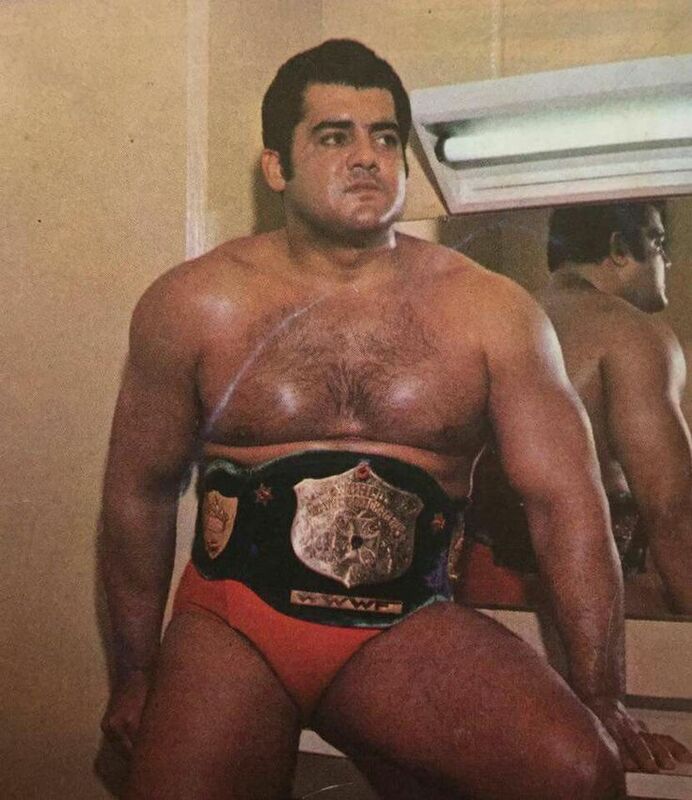 He had it with him on Ring of Honor television, in Japan for NJPW, and more. He had on successful title defense on September 29th defeated Willie Mack in Las Vegas. 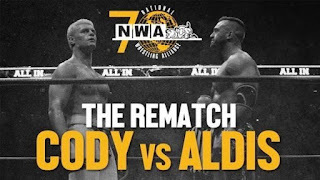 The re-match would take place at the first Billy Corgan promoted NWA event The NWA 70th Anniversary show on October 21, 2018 in Nashville at the historic Tennessee State Fairgrounds Arena. The show drew a sell out and saw Aldis recapture the title from Cody after almost 37 minutes in a two out of three falls match. 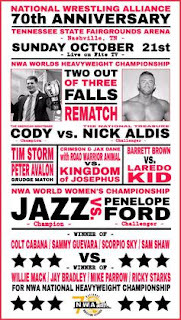 This show was significant in the year plus the Corgan was running the promotion only the World Championship was active, at this show he brought back the NWA Women's and National Heavyweight Championship. Since regaining the championship Aldis has continued his quest to return the championship to prominence. 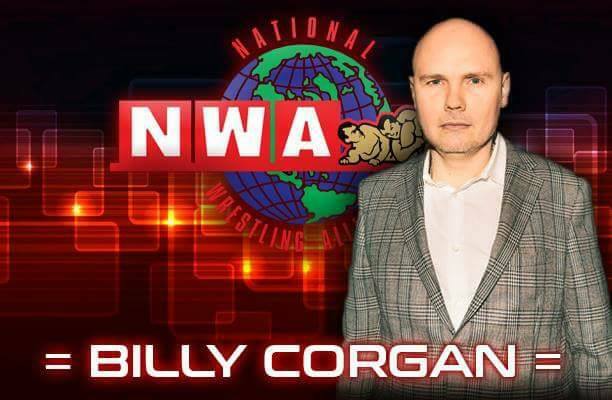 He defended it in North Carolina for the first time in years, Puerto Rico, England, and at the NWA Pop Up Event January 5, 2019, Corgan's second promoted show. He wrestled the likes of Jack Swagger, Brian Cage, Billy Gunn, Jimmy Havoc, PJ Black, & James Storm. Aldis is defending the championship for the first time in the titles history in New Hampshire on March 31, 2019 against Tommy Mack in Concord. If he's still the champion his next big title defense will be at the returning Crockett Cup on April 27, 2019 in Concord, North Carolina against Marty Scurll. 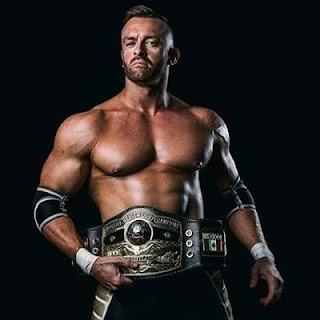 Without a doubt Nick Aldis is bring the prominence back to the NWA World Heavyweight Championship. 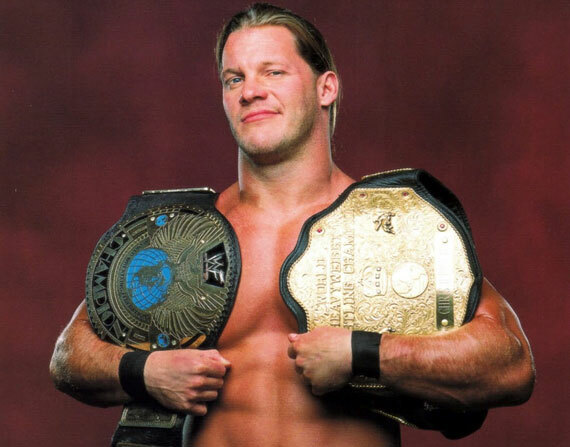 I still hope to see the title defended in Maine one day, but until then I'm looking forward to what's next. 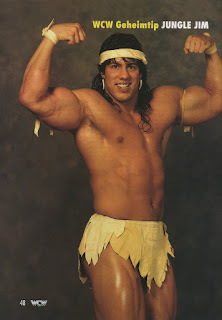 Mike Polchlopek wrestled in the WWE as Bart Gunn from 1993 until 1999. 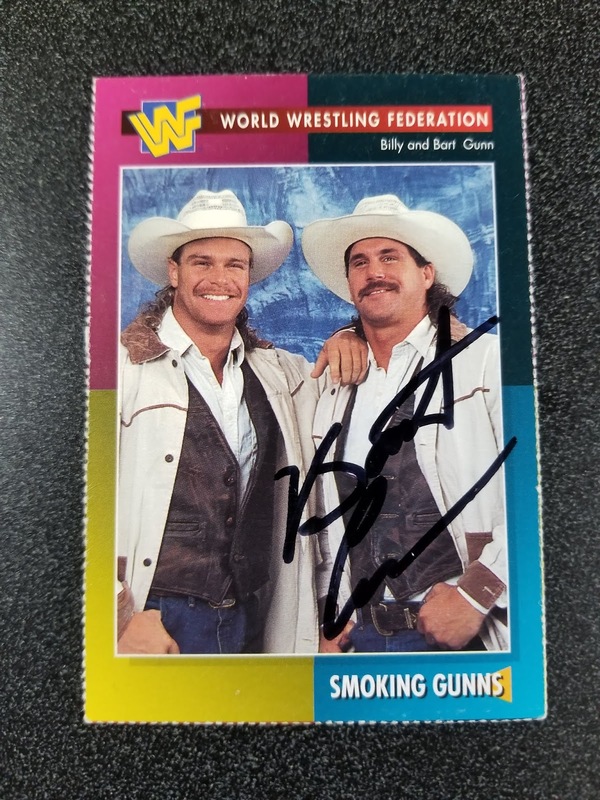 The majority of that run was as one half over the very successful tag team The Smoking Gunns with "brother" Billy Gunn. 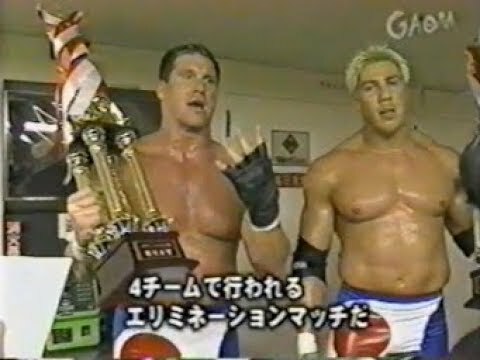 Together they were three time WWE Tag Team Champions. 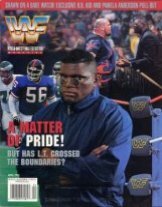 This card was released in 1995 by the WWE and was available only in the WWF Magazine. Specifically this card was part of the set that was included in the April 1995 issue. "Hey! Sorry to bother you but my dad is also Michael Labbe and I think he got a piece of your mail which he accidentally opened (because of the name of course). When he was telling me about it I remembered you from the dojo with the kids! 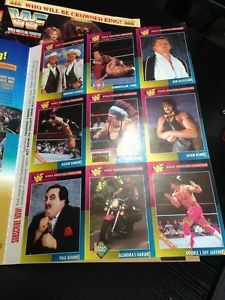 Did you order a wrestling card?" 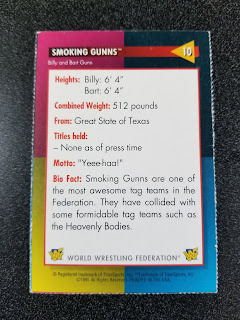 I order wrestling cards multiple times a month and this is the first time that this has happened so I thought it was odd. My oldest son took karate for two years and Jennifer was one of the teenagers that help out with Canaan's age group. Thing is he hasn't taken Karate in five years and I just didn't recognize her. So I pick up the envelope from her and immediately I'm confused for two reasons, her dad lives in Pittston and I live in Gardiner. The towns are close to each other and they use the same post office for delivery but they are different towns. Also the address on the card is from my Gardiner, PO Box which I closed out in 1995! And yes the envelope was postmarked January 15, 2019. Back in February 1995 I found an address online for Mike Polchlopek in Florida and being a unique name I took the chance and mailed the card with a self addressed stamped envelope and when I didn't get it back a few months later I figured that it was never coming back. That happens more than I'd like it too, but it's the chances you take. 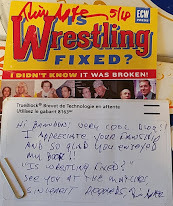 To get this card back FOUR years later is crazy, to have it get sent to my old PO BOX get routed to a different Michael Labbe and for his daughter to happened to know who I was, mind boggling. This is one of the reasons why I don't but signed cards, the story behind each autograph that I get makes it worth the effort. 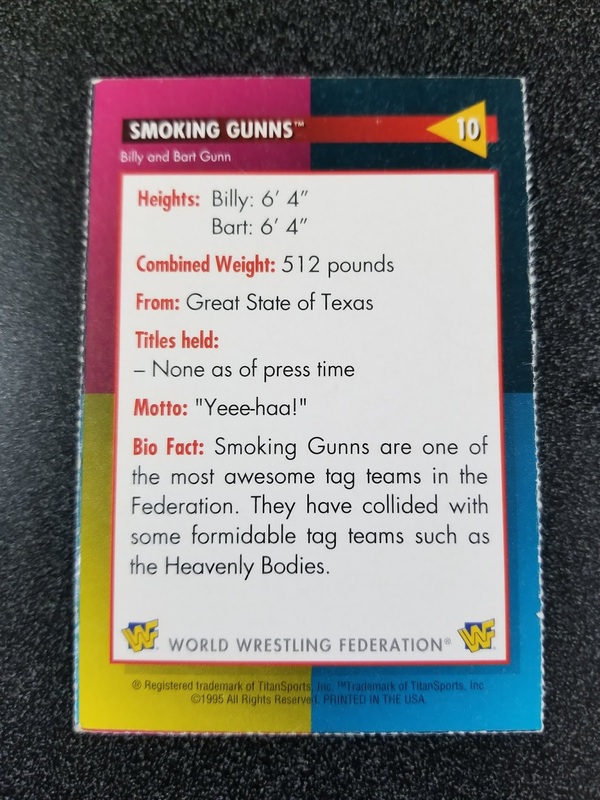 This April I'm going to WrestleCon where Billy Gunn will be appearing and you can bet on the fact that I will get him to sign this card!